Thanks for this, Hilary. It says really useful things we're not reading in the news media. Yes, thanks. As the parent of a child with a dodgy immune system this is worrying. There is a useful piece about it on The Conversation too. Early days but things seem to be happening quickly and hard to know how it will pan out. On the news tonight a potential vaccine could be ready for testing 'in a year'. We as a family are especially concerned about the zika situation in Brazil. Our son and Brazilian daughter-in-law are awaiting the imminent birth of their first baby in Australia. They are planning to visit Brazil late this year to see the family. Thanks for the piece Hilary. Solid information is difficult to find, and DiL says medical care in Brazil is expensive and not universally available. Zika cases have been reported in the Pacific islands (Samoa, Cook Islands, Vanuatu) for 3 years with no one getting too alarmed it seems - is it only because the West might be attending the Olympics that has got the 'powers that be' on to doing something? Health authorities in French Polynesia recently established a link between congenital malformations and zika in newborn children during their 2013 and 2014 outbreak of zika. Health authorities throughout the Pacific Islands are currently checking for further evidence in their nations. All zika cases reported in New Zealand in 2014 and 2015 came from the Pacific Islands. Nearly 40 cases came from the Cook Islands in 2014, and five cases came in last year from Samoa (four) and Vanuatu (one). is it only because the West might be attending the Olympics that has got the ‘powers that be’ on to doing something? The BBC is reporting that in Brazil, the number of babies born with suspected microcephaly, or abnormally small brains, has reached 4000 since October 2015, compared with only 150 in 2014. It is currently affecting one per cent of all babies born in the most affected parts of Brazil. Authorities there attribute this to an ongoing outbreak of the zika virus. A small number of babies who died had the virus in their brains. Yes it appears that the virus has been around for a few years in several countries. It has just another thing for women to deal with. Maybe some community immunity kept it under control. But something seems to have happened recently to bring it to the attention and fear of the 'developed' world. Maybe it is the reverse of epidemics such as measles that came from Europe and devastated indigenous populations which had no natural immunity. Polio is another disease that had been around for centuries before suddenly becoming epidemic internationally in 1916 (a 100 years ago). Why, is still being debated. 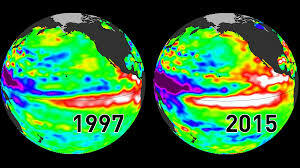 - local temperature rise (El Nino)? - clearing of forestry changing habitat for mosquitoes? Thanks for this informative and interesting post Hilary. Another fact readers might find interesting is that microcephalics were displayed as 'pin-heads' alongside other human curiosities during the freak show era. Another fact readers might find interesting is that microcephalics were displayed as ‘pin-heads’ alongside other human curiosities during the freak show era. it appears that the link between zika & microcephaly is really pretty weak. This is the conclusion that I have come to after reading about it for a few weeks. However, your link is far from an accredited source. An emergency designation from the W.H.O. can prompt action and funding from governments and nonprofits around the world. It elevates the agency to the position of global coordinator and gives its decisions the force of international law. It could also help standardize surveillance of new cases across countries — something that Dr. David L. Heymann, professor of infectious disease epidemiology at the London School of Hygiene and Tropical Medicine, who chaired the emergency committee, said was critical to getting control over the virus. The global health agency is trying to strike a balance between alerting the public and scaring it. Zika symptoms are mild or even nonexistent in most people. Overreaction could have the effect of punishing countries that are experiencing epidemics, experts say, for example, through restrictions on travel, trade or tourism that could hurt economies. No, but it may pose a risk to pregnant women’s fetuses. The virus has been linked to microcephaly, a condition in which babies have small heads and incomplete brain development; Brazil saw a spike in rates of the condition in 2015. While officials investigate whether there is a link to the country’s Zika infections, they have recommended Brazilian women delay getting pregnant if possible. However, the CDC says more information is needed to conclusively determine a link. “Since there are many causes of microcephaly in babies, it will take some time to determine the cause of these cases,” said a spokeswoman in an emailed statement to TIME. In addition, health officials are investigating a possible link between the virus and an uptick in cases of a paralysis condition called Guillain-Barré syndrome in both Brazil and French Polynesia. Most people recover fully from the disease, which is characterized by weakness and paralysis in some cases, due to the immune system attacking nerves in the body. My understanding was that the primary mosquito responsible ( Aedes aegyptii ) could survive in Northland but has been kept out by biosecurity. The WHO says that Aedes albopictus, which could live in Auckland if it got here, can also spread Zika. That is, if NZ is safe from direct transmission, it's thanks to biosecurity as well as climate and distance. Huffington Post considering the implications for abortion rights. I was pleased to see this quote from Rosemarie Garland-Thompson included. “Somehow, what got written into the idea of reproductive choice and freedom is the assumption no woman is prepared or would want to parent a child with a disability." She was in NZ last year and did a great interview on disability on Radio NZ. if NZ is safe from direct transmission, it’s thanks to biosecurity as well as climate and distance. There are a number of types of mozzie which can spread this and it's likely that our climate would/does support some of them. I doubt we are safe from direct transmission, although our biosecurity people will do their best. A mosquito population capable of carrying the Zika virus has been found in a Capitol Hill neighborhood of Washington, D.C., and genetic evidence suggests they survived at least the last four winters in the region. The study authors conclude that mosquitos are adapting for persistence in a northern climate. And even a single sighting would mean a massive biosecurity response. Routine border inspections at Auckland International Airport have picked up three mosquitos of the type which carry the Zika virus, on three occasions, in the past 12 months. Ministry for Primary Industries manager of detection technology Brett Hickman said border officials had found Aedes aegypti, which could carry the virus linked to severe birth defects. Mr Hickman said it was not known exactly how the three Aedes aegypti entered the country. "As far as an adult is concerned, if it was actually in the airspace within an aircraft our audits show that it would be dead. "So the other possibility is the fact that it could've been in someone's actual luggage and then when you open the luggage at the airport, it's there." But we can trust MoPI, surely? MPI's Gilbert was bullish at the forum, saying New Zealand's policies are world-leading and he has all the budget that he needs. "I actually feel very comfortable about resourcing." But there is a change of thinking that is required he adds. Cool...MoPI profiles cruise ship passengers.....no self respecting mozzie will hitch a ride in a poor person's luggage. There are other Aedes species that do live in NZ, and it's conceivable that they could transmit Zika -- there's no direct evidence that they can, but there wouldn't be at this stage. Given that we've never had a confirmed outbreak of dengue or similar viruses in NZ I think it's reasonable to behave as if the local mosquitoes are safe, but it's not certain. Ae. albopictus (the Asian tiger mosquito) is one of the bloodsuckers I live with in Japan, though fortunately not active all year round in my area. It is listed as one of the 100 most invasive species worldwide; it already has invaded NZ on several occasions and been re-eradicated, and is well on the way to becoming naturalised in many parts of Latin America and in California, making the “Asian” bit of the name increasingly inaccurate.